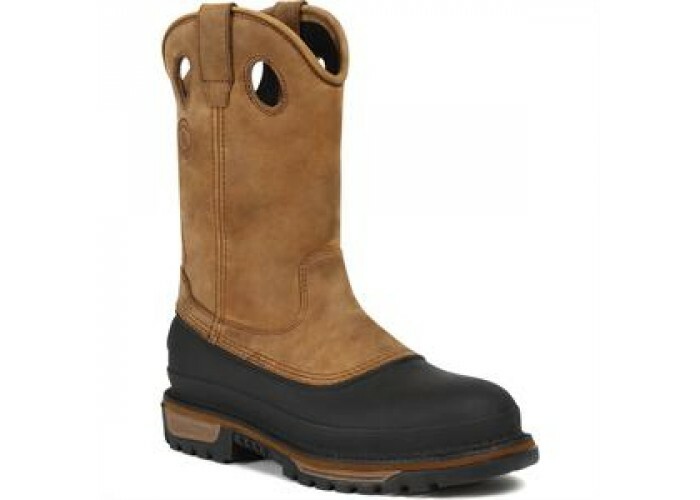 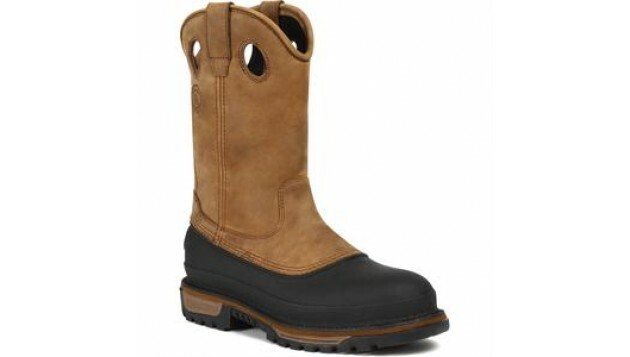 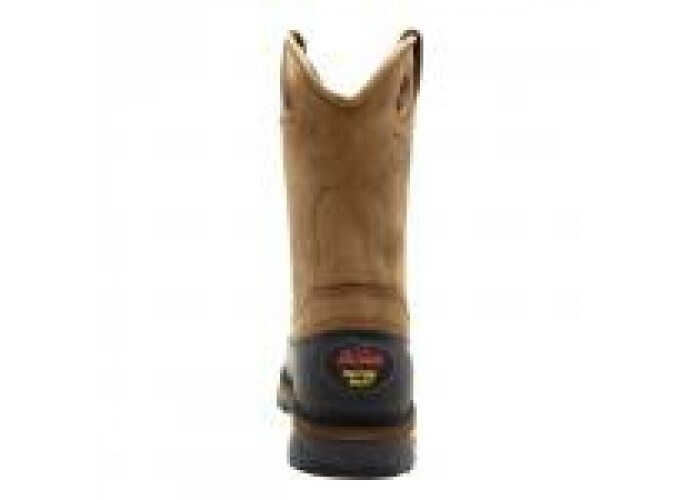 This hard-wearing Georgia Muddog work boot has been built to perform. 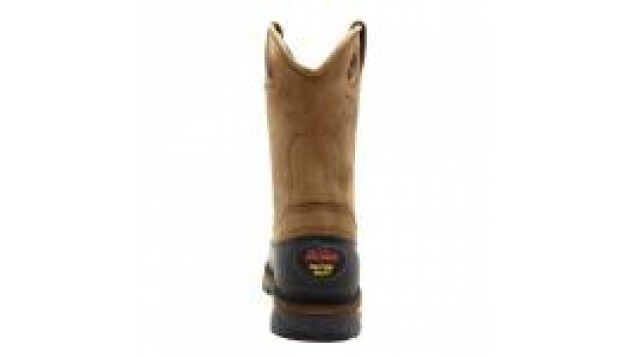 Its upper has been crafted with a combination of SPR™ leather –it’s able to resist abrasions 2 ½ times better and has 3 times the strength of traditional leathers, plus it’s able to resist caustic chemicals and barnyard acids – and a molded TPU shell that locks out moisture and resists abrasions. 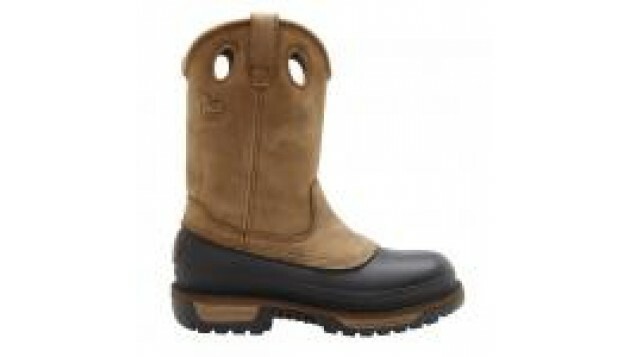 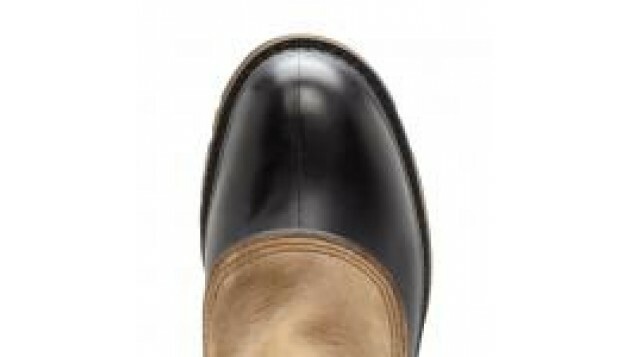 The Georgia waterproof system is a phenomenal feature to have, because it’s able to keep your feet completely dry. 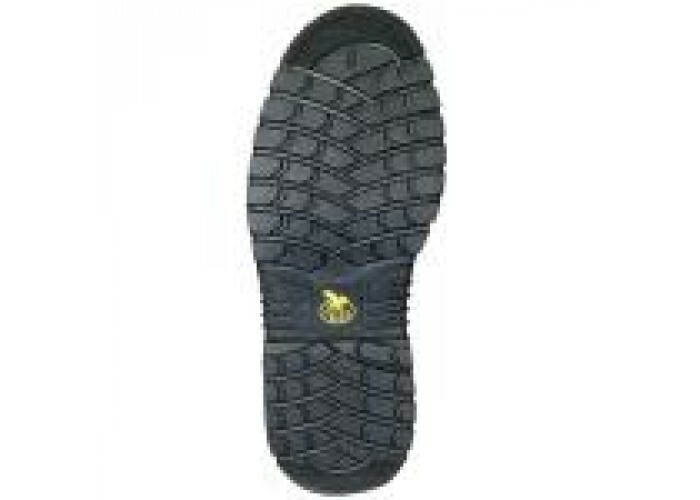 You will be stepping down onto the Comfort Core® footbed; it provides superb, long lasting cushioning and its Air Flow System keeps your feet cool and dry. 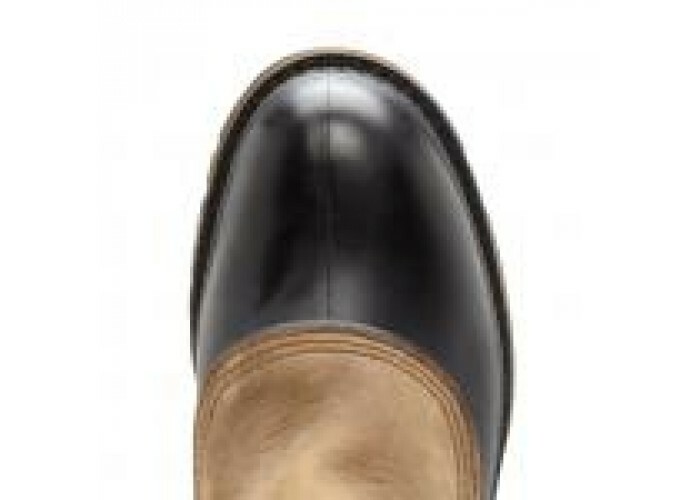 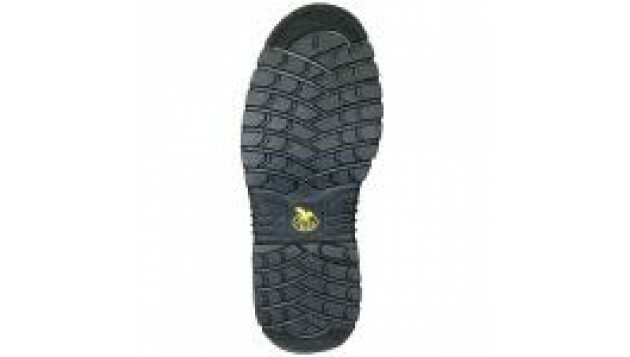 The rubber “Weave” outsole is specifically designed to deliver maximum surface contact; it supplies cushioning and is highly flexible, plus, it offers resistance to chemicals, abrasions and oil.